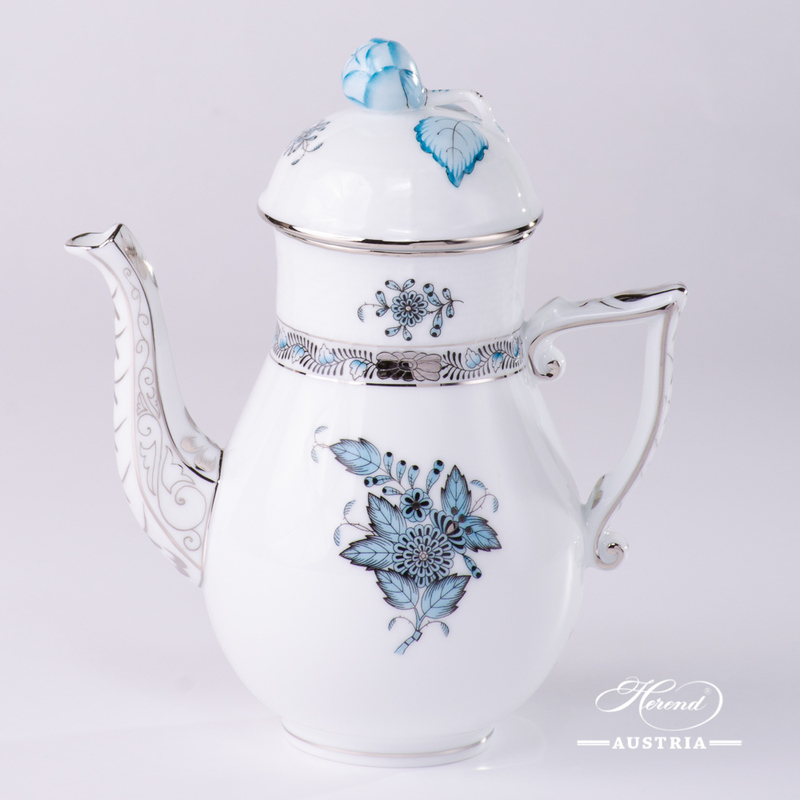 Coffee / Espresso Pot w. Bud Knob – Chinese Bouquet Turquoise / Apponyi ATQ3-PT pattern. 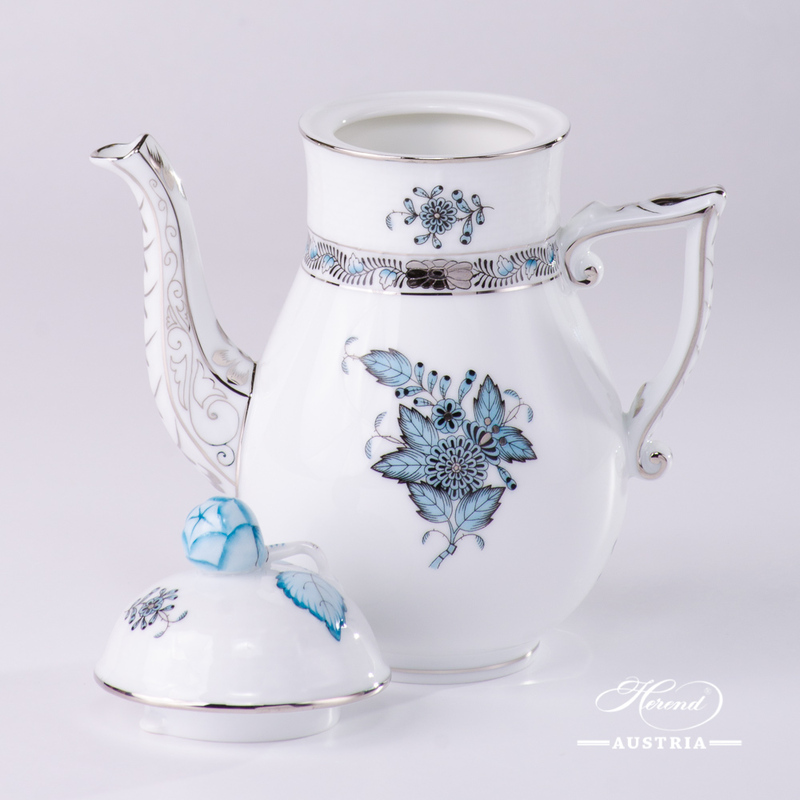 Herend fine china – 615-0-12 ATQ3-PT – Turquoise w. Platinum design. 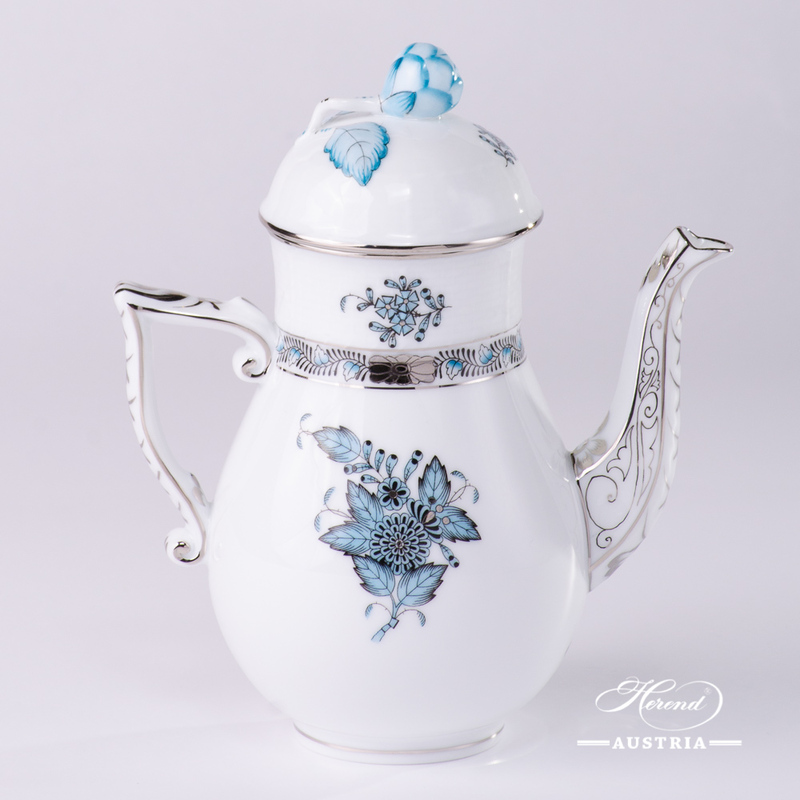 Coffee / Espresso Pot w. Bud Knob – Herend Chinese Bouquet Turquoise / Apponyi ATQ3-PT pattern. The Coffee Pot is an ideal choice to all Coffee, Mocha, Espresso and Breakfast Sets. Dessert Plate - Chinese Bouquet Turquoise / Apponyi ATQ3-PT pattern. 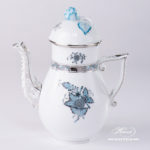 Herend fine china - 517-0-00 ATQ3-PT - Turquoise w. Platinum design. The classic Apponyi design is also known as Chinese Bouquet. Dish Rococo - Chinese Bouquet Turquoise / Apponyi ATQ3-PT pattern. Herend fine china - 7517-0-00 ATQ3-PT - Turquoise w. Platinum design. The classic Apponyi design is also known as Chinese Bouquet. Thousand Flowers Coffee Pot - 614-0-09 MF - Herend Porcelain The Thousand Flowers motif is a classical Herend decor which painted with many kinds of tiny flowers and Gold edge. For those people we recommend who like classical style. The overall effect is cheerful, youthful and classical! Egg Shaped Bonbonniere / Candy Jar - Herend Chinese Bouquet / Apponyi Turquoise ATQ3-PT pattern. Herend fine china - Chinese Bouquet / Apponyi Turquoise ATQ3-PT design. Available in many different Herend patterns. Give aesthetic as a Gift! Apponyi-Turquoise Creamer - 645-0-00 ATQ3-PT - Herend Porcelain The ATQ3-PT decor is a modern variant which painted with Turquoise colour and Platinum edge. For those people we recommend who like modern style pattern and modern colour version. Apponyi Turquoise Basket - 7380-0-00 ATQ3-PT - Herend Porcelain The Basket is available in many different decors and in larger dimension too. The ATQ3-PT decor is a modern variant which painted with Turquoise colour and Platinum edge. For those people we recommend who like modern style pattern and modern colour version. 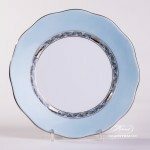 Apponyi Turquoise Dessert Plate - 20517-0-00 E-511 - Herend Porcelain The Dessert Plate is available in larger and smaller diameter too. The ATQ3-PT decor is a modern variant which painted with Turquoise colour and Platinum edge. For those people we recommend who like modern style pattern and modern colour version. Coffee Pot with Butterfly Knob - Royal Garden Green EVICTF1 pattern. Herend fine china – Green Flower design. Email Victoria EVICT design is a modern Herend pattern. Available in Green EVICT1 or Turquoise EVICT2 versions. Apponyi Turquoise Creamer - 648-0-00 ATQ3-PT - Herend Porcelain The ATQ3-PT decor is a modern variant which painted with Turquoise colour and Platinum edge. For those people we recommend who like modern style pattern and modern colour version.